The press release from Jolie360 about the Craft Beer Project at Hermanus Whale Festival! 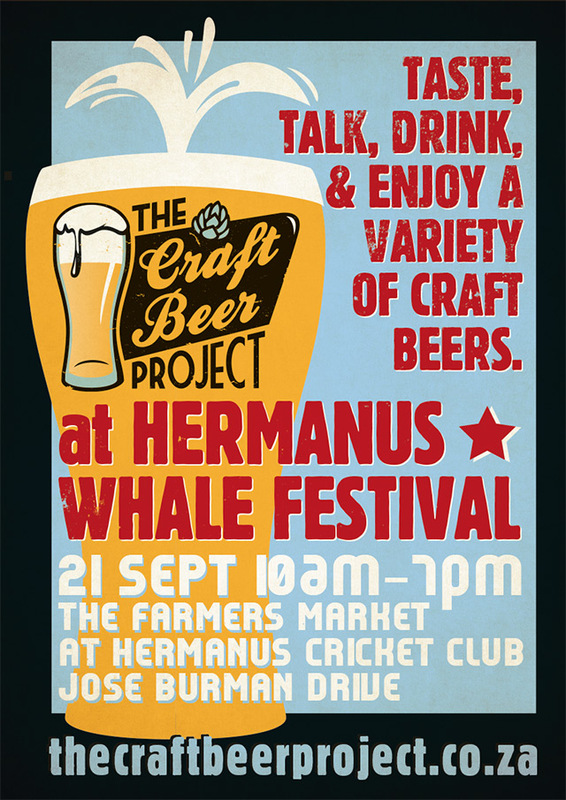 The Craft Beer Festival is proud to announce it will be participating in the world famous Hermanus Whale Festival, which takes place annually at the end of September. On 21st of September, from 10am till 7pm, The Craft Beer Project will have a 12 tap system featuring breweries from around the country. Some of which will be featured include; Boston Breweries, Liefmans Fruitesse, Citizen, HoningKlip and Birkenhead. The Craft Beer Project looks forward to yet again uniting the Craft Beer Family and leading the craft beer Revolution in South Africa, we are all about drinking, enjoying and educating people about great beer!